Thank you for selecting our office. Our goal is to help you achieve that healthy smile for a lifetime! The first step is to schedule an appointment. Please contact our office by phone or request an appointment online (click here to contact us). Please visit our Patient Forms page to download our Patient Information forms that will need to be filled out when you arrive at our office. Filling them out and bringing them with you will allow us to attend to your dental needs more quickly than completing them on your arrival. Please contact our office if you have any questions at all. If you have dental insurance assistance, we may be able to submit your claim electronically at the end of your appointment if your insurance provider allows it. 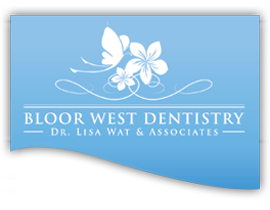 We work very hard to meet and accommodate the needs of all of our patients. If you are unable to keep your appointment time, we are always happy to change it if you provide us with 2 business days notice. This allows us to schedule in a patient who may be in need of care and to help you avoid an unnecessary rescheduling fee of $40.00 that will be applied to your account.